This is a huge Crystallized Gold Nugget Specimen from the Mockingbird Mine in Mariposa County, California. It weighs a hefty 24.2 Grams, which is very large for a crystalline gold specimen. This is truly a very rare collectors item for the discerning gold specimen collector. 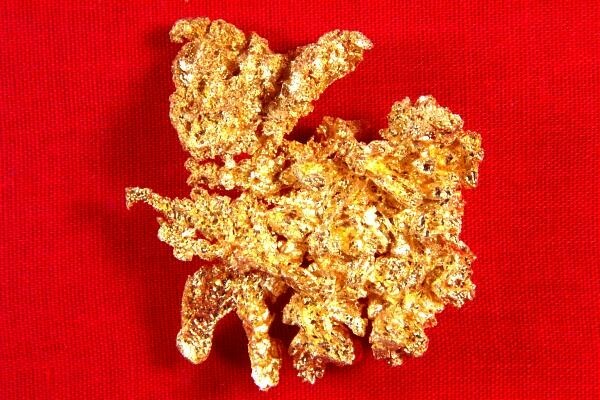 It is not often that you see a crystalline gold nugget this large for sale. 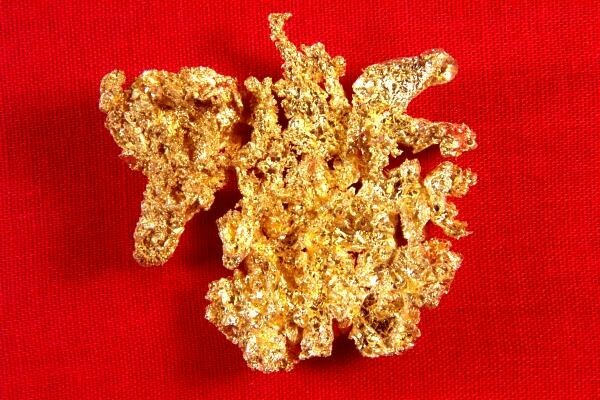 This amazing gold specimen is 1.6" long x 1.5" wide x 1/4" thick and it has a very large surface area for the weight. My Crystallized Gold Specimens are second to none, all hand selected high quality gold specimens. A nice addition to any collection and a good investment as well.